Seismic Theory is primarily a UK based Drum & Bass label also known as Seismic Theory Recordings founded by Optimal Prime & Mavamatics in early 2018, based in the Northwest of the country. The inception of the label is spawned from our collaborative work within the world of Drum & Bass music and is a way to help get our ideas in sound and design heard and into an easier to manage format which we can monitor and control ourselves. We have each worked with numerous labels and while some are better than others, often the case has been where we don’t feel the communication between artist and label has been enough to justify essentially giving away our music, only to never hear of its progress. Some of these labels die out, don’t get promoted enough or dilute their material with too many artists, factors which we strive to avoid. Larger more successful labels on the other hand can be very difficult to gain the attention of due to the thousands of artists out there sending music on a regular basis. It is understandable that there are only so many artists a label can focus on at once, especially if one wishes to manage their artists properly and ensure consistent but equally as important, professional quality music gets released. Currently, Seismic Theory is a fresh and upcoming label which has room to grow, however our ethos is about forward thinking sound and providing quality not quantity. Along the way we will need new artists and music to promote, and so encourage other artists who think they may be suitable to get in contact and send us material. We will also be running a brand new podcast in order to showcase new talent and plan to feature demo content even if this is not necessarily destined for something that will be signed onto our label. 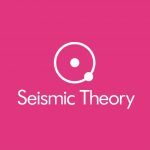 Seismic Theory is led by three minds who have many years of experience in the field of music production, professional educational backgrounds within music technology and have worked professionally in the music and media industry. We feel that now is the time to come together and start a journey to pave the way to our future in drum and bass music, now more-so than ever as we have each been making and listening to drum and bass and electronic music for many years, perfecting the art and craft of what makes the genre tick. Theory is the notion of an idea or rather an “idea based on a set of principals” often associated with science with a measure of “outside-the-box” thinking and even profound in nature. In a similar way we view drum and bass music as an exceptionally forward thinking genre that so often breaks the rules, has seemed to continually evolve, has many many sub-divisional genres, contains immense complexities and is influenced by so many other non DnB genres. Seismic “of enormous proportions or effect” is representative of the nature of the sound we strive to aim for, whether it’s a heavier hitting dancefloor smasher, a deep grooving roller or an uplifting liquid piece, the effect we wish to convey is something which we believe to be impactive amongst our audience. 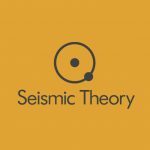 Ultimately, Seismic Theory is a Drum & Bass orientated digital record label with hopes and dreams to reach as many people as we can and provide good quality sounding drum & bass music. Our sound isn’t strictly limited to a single sub-genre, however will feature liquid and deeper ends of the spectrum in addition to harder and edgier DnB.